TThere’s nothing more amazing than getting right up close to a thousand dancing and diving dolphins, their splashes speckling your camera lens with water. Nothing stops time like the explosion of sound and feeling of pure awe as a Southern Right whale breaches the blue ocean just meters away from you. No moment is more dreamlike than standing in frozen silence, witnessing baby loggerhead turtles hatch in the moonlight and make their awkward way to the ocean for the very first time. These are the moments that make South Africa special. And there are plenty more of them to be witnessed and experienced along our 2700km of coastline. It’s more than just the place where the cool Atlantic and warm Indian Oceans meet. It’s where the folklore of fishing communities is as charming and real today as it ever was; where perfect beaches lure you into staying all day and the freshest flavours of the sea are piled onto your plate at seaside restaurants or right there on the sand, while the smell of the ocean fills your lungs. 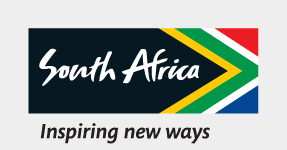 SSouth Africa is blessed with over 2,500km of coastline to explore crossing two oceans. EExplore South Africa’s natural wetlands where fauna and vegetation range from thickets and woodlands to marshes, forests and reed: home to hippo, crocodiles, black rhino, thousands of fish and bird species that go on with life just like they have for thousands of years. Be a welcomed guest in their world, go hiking along famous trails, crossing secret beaches, jumping over hidden rock pools and stopping to watch ocean sunsets with only the waves for company. CCome experience beach days that feel like they should never end and the finest beach-side hotels to spoil you when they eventually do. South Africa’s sun-soaked coast lies ready, all-year round, to share its secrets, adventures and lazy days with you.